If you’re conserving cash, avoid the all-wheel-drive. It’s strictly for street use, and adds weight but not a lot of functional advantage. The $800 navigation option, on the other hand, includes the top-of-the-line stereo, which makes it worth the uptick. The 2011 Nissan Juke is fun to drive, pleasant, and well-equipped. You’ll buy it despite the lousy gas mileage and because of—or despite—its unique looks. Picture the future--no, not the near future, not the long-term future, but the grey area in between tomorrow's headlines and science fiction. There, crossovers dominate the face of the earth. In that dystopia, an army of all-wheel-drivers will uniformly obliterate any exciting new vehicles in their path, turning the roads into one gray stream of bloated suburban carryalls. In that world, the 2011 Nissan Juke is the rebel force that campaigns against conformity. Back in the world of today, though, we're still not sure if it's a somewhat sporty ute or an apple-bottomed re-imagining of the AMC Pacer. The 2011 Juke has Nissan's most technically sophisticated engine--a 1.6-liter four-cylinder with 188 horsepower--in a lightweight body with an independent suspension for zippy handling. What it doesn't have: many straight lines or pretty viewing angles. You'll grin from the driving feel, but as the frat-boy mantra goes, it's only fun until someone sees you doing it. The Juke is a one-of-a-kind vehicle. 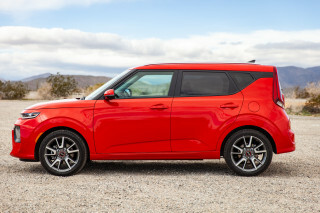 Its extroverted styling, turbocharged engine, and comfortable interior take it way beyond its subcompact economy car roots. Once you're past the styling, it's full of clever details. We especially liked the I-CON control system, for example, which remaps several of the center-stack control buttons and the full-color secondary display screen that shows vehicle operating data. The default is to use them for Climate control, but push the "D-Mode" button and the orange buttons change to white, offering a new set of options: Normal, Sport, and Eco modes. The Juke handles well, but ride quality can sharply divide road testers. Some of us thought it was terribly rough; others thought it made for a comfortable medium-distance car for two people (and a tolerable one for four), and its high seating position makes it feel larger inside than it actually is. 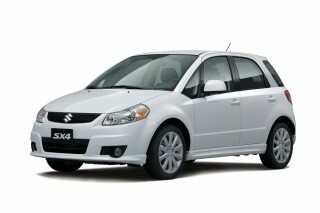 The main drawback, in our view, is abysmal gas mileage for such a small car. We didn't even see 23 mpg over a 300-mile road test that included substantial Interstate mileage. All Juke models are well equipped, though adding all-wheel-drive and such options as navigation, a better stereo, and leather seats can push the price toward $25K. The base Juke S trim level, with front-wheel-drive and a six-speed manual, starts as low as $18,980. Our 2011 Juke SV AWD CVT (that's what the sticker said) carried a bottom line of $24,260, which included the mandatory $750 destination charge. 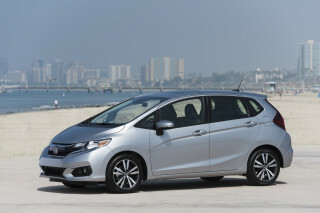 If you like to be looked at and want a subcompact, this is the one for you. The 2011 Nissan Juke is like nothing else on the road. The 2011 Nissan Juke is aimed at a 25- to 30-year-old male audience of educated, early professionals who Nissan calls "aggressive attention-seekers." 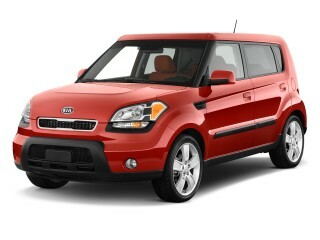 That means they'll be comfortable with the many stares the polarizing style of this short but high mini-crossover will generate. Juke's better known as the word for athletes faking one direction and zipping into another. That makes perfect sense for the Juke, which Nissan pitches as a more masculine, better-handling version of the platform that underpins Versa and the softer, rounder Cube hatchback. Based on the Nissan Qazana concept from last year, the Juke gets wide hips, a wide front grille and an angular roofline, as well as some motorcycle inspired cues for its five-seat interior. Alternative is the buzzword here: the Juke is chunky, lumpy and beefy in ways you'd never expect in a class that includes the Kia Soul and Suzuki SX4. Its most awkward angle is from the front, where the headlights are mounted so low in the bumper apron that they read as fog lamps. Above them along the fender crowns are raised clear-plastic "blades" that include the turn signals. At night, the driver can actually see the front signals flashing on their leading edges. The beltline rises toward the rear, and with bulbous fender arches and the rear door handles hidden in the black trim of the roof pillar, the Juke combines design cues that make it a sort-of-tall-crossover, sort-of-coupe, sort-of-hatchback. It's definitely not trying to be a truck, though, which is a good thing. We decided the Juke was probably the love child from a one-night stand between a Nissan Murano crossover and a new, young, nubile Nissan Leaf electric car. Regardless, our toll collector and garage attendant (both young men) already knew what it was, and asked a lot of questions about it--so it must be hitting its target. Inside, the trim is largely black plastic, with a mix of soft and hard surfaces but overall, a more upscale look than we'd expected. The shift-lever surround is a contrasting glossy plastic--in our car, scarlet—that Nissan says is meant to evoke a motorcycle gas tank. The same material sets off the door inserts, which have a slick, shiny upholstery that could cover a backpack or a stuffed animal. Or a velociraptor. Bright red panels livened up the black cloth seats and the whole cabin. Given all the red and black, we were tempted to nickname the little Juke "Spiderman". We liked the effect, though it would be less shrill in the silver tone that's available too. From the inside, the 2011 Nissan Juke is simply quicker, better handling, and more fun to drive than most subcompact hatchbacks. 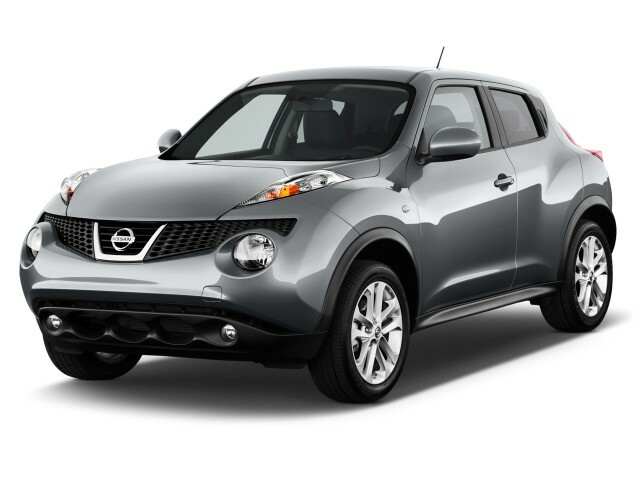 All models of Juke are fitted with a 188-horsepower, 1.6-liter direct-injected and turbocharged four-cylinder engine. It's peppy, although it has to be revved to get the best performance out of it. And while it's the most sophisticated engine Nissan makes, it's far from quiet. The turbo whistles and the engine howls. A six-speed manual gearbox is available only on the SV trim level. Yes, the manual is now an extra-cost option on higher trim levels. But most Jukes, including ours, will come with Nissan's continuously variable transmission (CVT), which varies engine revs and an infinite number of gear ratios for the best tradeoff between performance and fuel economy. Of the three driving modes, Normal moves the car along smartly, Eco is sluggish, and the Sport mode is the most fun for drivers who want to make their Juke hustle along seriously. Sport mode raises the idle speed so the engine is close to bringing on the turbo boost, which reduces turbo lag and gives a discernible thrust in the small of your back. It also remaps the throttle to feed gasoline in more quickly, and shows a boost gauge on the secondary center-stack display. The net effect is that the engine gets much louder and howls appreciably while booting the little crossover along quite impressively. The only thing missing is paddles to shift the artificially simulated "gears" programmed into the CVT. Handling is remarkable for what looks like a tall car. The Juke corners flat, hangs on tenaciously, and can be hustled quickly through twisting curves. The straightforward torsion-beam rear suspension on front-wheel-drive cars is replaced by a more sophisticated multi-link setup if you order the all-wheel drive, but even the simpler design offers excellent roadholding. While the all-wheel-drive includes torque vectoring from front to rear, and between the rear wheels (but not the fronts), it is solely for street use. We found it almost no help on a steep driveway with only 6 inches of snow. Ride quality is one area where reviewers are all over the map. 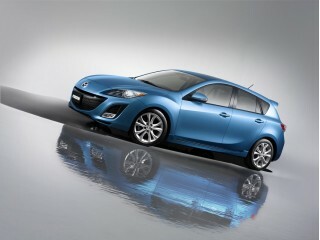 Some felt it was harsh and thumpy, others found it smooth for a car with such a short wheelbase. The 17-inch wheels probably help with smooth-road ride quality, though their low-profile tires may make coarser surfaces far rougher than they should be. It’s far from the most spacious or versatile subcompact, but the 2011 Nissan Juke holds four and has more than its share of useful features. The front seats sit high in the 2011 Nissan Juke, as does the car, which eliminates some of the vulnerability that a low seating position can induce in a small car surrounded in traffic by SUVs and trucks. And the driver's seat is adjustable for height, as well as back-rest angle, making it possible to get exactly the right position. The rear seats are tight, although a pair of six-foot-tall passengers will just fit. The rear seat cushion too sits higher than in most subcompacts, meaning their knees won't be up under their chins. With front seats a couple of notches forward, it's possible to carry four adults in the Juke--though the rear passengers don't have much of a view out the narrowed rear window openings. And the sunroof cuts at least a couple of inches off headroom both front and rear. Without folding down the split rear seat-back, the rear load bay doesn't look particularly large. Its 10.5 cubic feet turn out to hold more than you'd think, but to carry anything of size--that is, to carry what would fit in the trunk of a subcompact sedan--you have to fold down the seat. 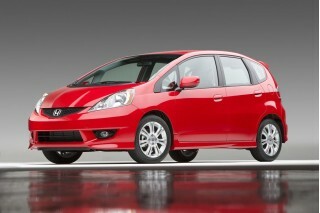 The Honda Fit has twice the Juke's load-bay volume. Nissan's designers have given the Juke several nice features we didn't expect. One we'd like to see in every car: a rubberized cell-phone tray at the bottom of the center stack. Although why couldn't they have made it large enough to hold two phones? The driver's window has not only auto-down but auto-up as well, a godsend when pulling away from toll booths. The Juke did have one notable omission: No center cubby for enclosed storage, meaning that stowing cameras out of site required putting them either in the glove box or under the seats. That also meant there was no rest for the driver's right elbow. The headliner material looks cheap and feels very lightweight. Worse, our early-production car had both a cold-weather creak in the dashboard--it vanished once the car warmed up--and an intermittent buzz deep behind the console. The 2011 Nissan Juke comes with the usual safety features and provides decent visibility, but no crash-test results are in yet. Every 2011 Juke comes with the usual doses of safety gear. 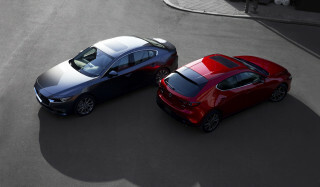 Dual front, side and curtain airbags are standard; so are anti-lock brakes, traction and stability control. Nissan's tire-pressure monitors are standard as well, and they beep a warning at drivers when a tire is low. Given the Juke's slot-like side windows and thick rear quarters, we found the rear vision better than expected. The rear-seat headrests don't block much of the view out the back, and while the rear window is both shallow and arched, vision through the rear-view mirror wasn't bad. The rectangular door mirrors are large and offer excellent coverage. Neither the National Highway Traffic Safety Administration (NHTSA) nor the Insurance Institute for Highway Safety (IIHS) has yet tested the new Juke. Both agencies also have changed the criteria for their crash-test ratings—so we'll update this review when more data is available. For a subcompact, even one that can top out over $24K, the 2011 Nissan Juke is nicely equipped and offers some frills on top of standard features. The base model Juke S comes with the continuously variable transmission; 17-inch alloy wheels; an AM/FM/CD audio system with an audio-in jack and Bluetooth mobile-phone connection; power windows, locks and mirrors; remote keyless entry; and a 60/40 split rear seatback. The mid-range SV model adds a powered glass moonroof; XM satellite radio; push-button ignition on the key fob; the neat I-CON control system with automatic temperature control; premium cloth seat trim; and a leather-wrapped steering wheel. And the top-of-the-line SL model adds a navigation system with a 5-inch touch-screen monitor and XM traffic information; a six-speaker system for the stereo including a separately powered Rockford Fosgate subwoofer; a USB port; leather seats with heated front seats; fog lights; and automatic headlights. Torque-vectoring all-wheel-drive can be added to all three trim levels. The navigation system plus the upgraded speakers and USB port can be ordered separately as an $800 option package, as it was on our car. That USB connection will work with an iPod, but it doesn’t work with an iPhone; for that, you have to use the auxiliary port instead. Though the 5-inch navigation touch-screen display isn't the largest, it gets high marks for intuitive controls. The auto-zoom to show intersection detail when the car stops is a particularly neat detail. And the XM satellite radio system displayed all song info without chopping off track titles, as so many seem to do. The better stereo provided a clean sound, with great depth on the bass. And the speed-sensitive volume can be adjusted to vary more or less depending on riders' preferences, which not every car offers. The maps for the navigation system are contained on an SD chip that slots into the unit, conserving precious cargo-deck space that doesn't have to hold a cassette full of DVDs. Instead, however, the owner's manuals are strapped to the back of the rear seat, occupying almost the same amount of space as that missing disk-cassette. Finally, we liked the illuminated front sill plates that spelled out "JUKE" in bright red letters whenever the door was opened. That would be a very cool standard feature. We were startled to see, however, that as an option it cost $280. Not one we'd have ticked. The 2011 Nissan Juke’s gas mileage is low enough to shock both reviewers and new owners. The Juke's main drawback is its startlingly low fuel efficiency. While the EPA rated our CVT all-wheel-drive Juke was rated at 25 mpg city, 30 mpg highway, most reviews we've seen logged 22 mpg or less, even with long-distance highway cruising included. That would be low for a mid-size sedan, let alone a subcompact hatchback. Reviewers aren't the only ones who are dismayed by the Juke's mileage. Owner forums carry a steady drumbeat of complaints of mileage remaining in the low 20-mpg range regardless of how it's driven. The low mileage translates to a full-tank range of only around 300 miles, with the low-fuel warning light going on well before that. Most cars will usually go longer on a single tank than passengers' bladders will permit, so the Juke's short range is a shock. We've debated giving it an even lower score of 6, but for now, will give a little more standing to the EPA's official test numbers. The Juke is not offered with any alternative powertrains, such as a hybrid or a diesel.